We offer a Conveyor System in different type of model as Roller Conveyor , Flexible conveyor and Belt Conveyor as per requirement . Conveyor System are used for transport and buffer storage of boxed unit load with flat bottom. 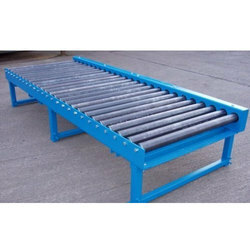 Conveyor System offered by us are available at most competitive in rates and can custom configured. 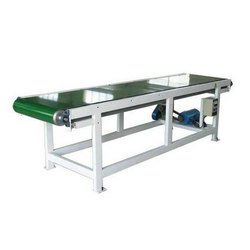 All models of the Conveyor System have been designed and developed with economy, efficiency and safety as concern Roller Conveyor is used for transport and buffer storage of boxed unit load with flat bottom. Product flow is depend on pushing or on gravity of product at a certain incline angle. Flexible conveyor is used to solve problems on transport in such complicated environment as warehousing, packing line and loading/unloading etc, and can handle all sizes of boxed packages with flat bottom. It makes skillful use of movement, expansion and compaction so that floor space required can be reduced remarkably. 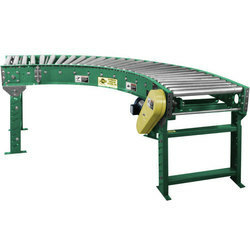 Multiple flexible conveyors can be connected together and can be expanded optionally to any length required. With the valuable assistance of skilled team of professionals, we are engaged in offering an extensive range of high-quality Flexible Conveyors.